The Carlton Isoblade 300 badminton racket is ideal for beginners. It features head light balance, 100g (3.5oz) frame weight, and 665mm (26") length. The head is constructed of titanium alloy and the shaft is made of steel, which translates into power and durability. The length of the main string has been increased, which results in maximized sweet spot area. Thank to that the racket is more forgiving even at the off-centre shots. 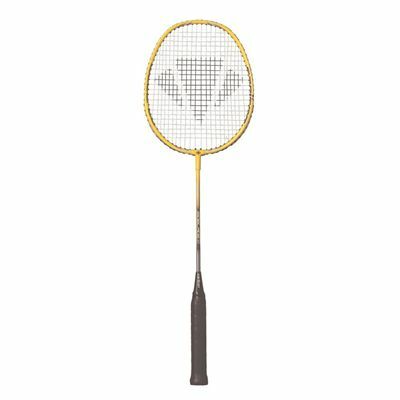 for submitting product review about Carlton Isoblade 300 Badminton Racket.